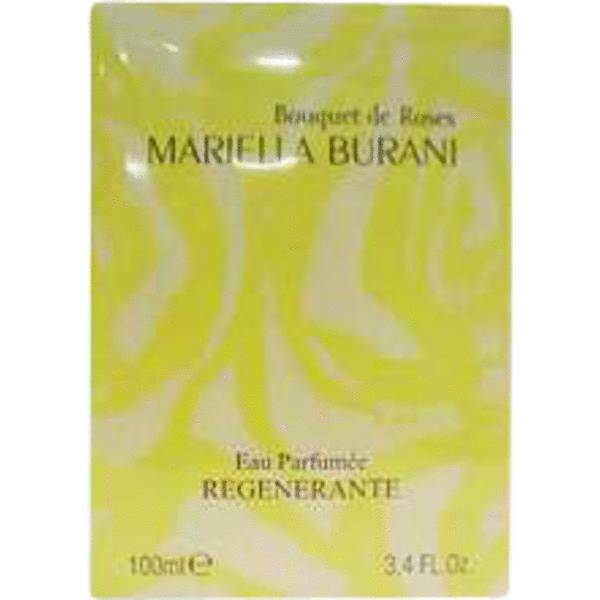 Bouquet De Roses Regenerante (Yellow) Perfume by Mariella Burani, Fortify your happiness with the sunny and spirited Bouquet de Roses Regenerante (Yellow), a luminous women’s fragrance by Mariella Burani. Bursting with citrus, floral and woody accords, this revitalizing treat is sure to inspire thoughts of bright sunny days and fun adventures in the great outdoors. Top notes of bergamot, citrus orange, African orange flower and petit grain amplify the scent with their energetic and uplifting Read More Read More nature. Heart notes of pink cyclamen, rose, magnolia and night-blooming jasmine incorporate the floral element that creates the stunning bouquet, while base notes of tonka bean, orris root, sandalwood and white musk infiltrate the flirty aroma with something more discreet and sensual. Offered in a lovely golden flacon with a flowered stopper, this limited edition 2001 Mariella Burani fragrance is divine in both imagery and design. It stands beside 16 other authentic and delectable aromas that are all a part of the innovator’s Italian fashion and accessories brand. All products are original, authentic name brands. We do not sell knockoffs or imitations.